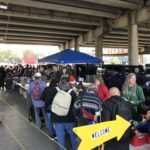 The 2018-2019 ATXHAW Warmth Drive is in full swing! We’ve added all Warmth Drive items to the green light section on our What Do We Need? page, including: coats, sweatshirts, sweatpants, thermals, hoodies, hats, gloves, scarves, thick socks, ponchos, umbrellas, tents, blankets, sleeping mats, and sleeping bags. You’ll also find that we’re out of some of our monthly staples, such as: men’s socks, heat packs, lip balm, nail clippers, and pens. 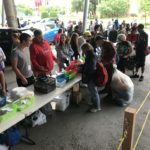 Would you like to help your fellow humans by donating some of these much needed items? Check out our Amazon wish list! Your donation will be shipped directly to us. You can also purchase a donation at a local store and drop it off at the next giveaway – we’d love to see you! 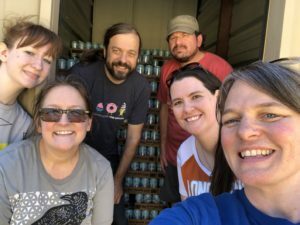 ATXHAW would like to say a big “thank you!” to Oskar Blues Brewery on Metric Blvd. 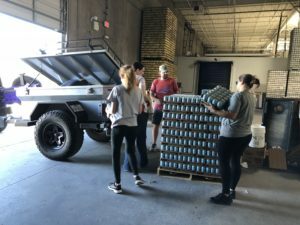 for donating over 7,500 cans of water! This donation will allow us to hand out water at many giveaways to come. 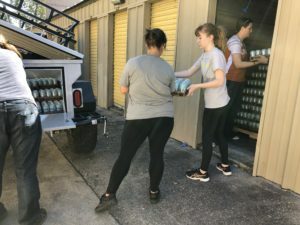 The water was shared with Keep Austin Fed, another local nonprofit who connects surplus food with people in need. 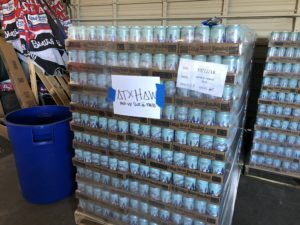 We’d like to say a special “thank you!” to Leilani at Oskar Blues for reserving the water for ATXHAW & making sure it was ready to go. You’re awesome! St. Andrew’s Presbyterian Church needs volunteers to help on nights when the Cold Weather Shelter system is activated. 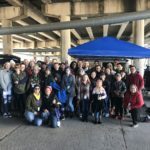 The Cold Weather Shelter system is a network of churches and community volunteers that provide extra shelter space on nights where the temperature falls below freezing. Volunteers are needed to prepare dinner, monitor showers, clean up the kitchen, spend overnight, and do morning cleanup. If you’d like to volunteer, please contact Ed Kopas at edwardkopas@yahoo.com or 512-659-9880. 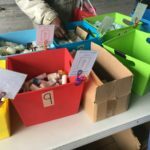 Our group of crafters creates hats, scarves, gloves, mittens, and cotton washcloths that are handed out at our giveaways. 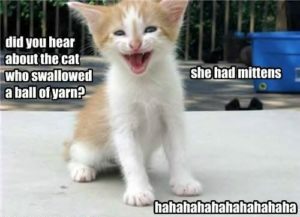 You can also drop off donations at Gettin’ Knotty meetups! We hope you’re having a great November! Thank you for reading. See you on the 18th!